Home - Posts tagged "Doobert"
Doobert.com recently completed a transport in conjunction with Best Friends Animal Society that helped a victim of Hurricane Harvey reunite with their pet through support of a common site with information for owners called FindMyLostPet.com. Best Friends Animal Society set up an impromptu shelter at the NRG Arena in Houston, Texas where lost pets from Hurricane Harvey were kept safe in hopes their families would find them and take them home. Luna was one of the hundreds of pets at the shelter waiting for her family. 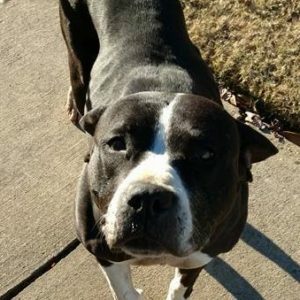 Using the Find My Lost Pet website, Luna’s family saw her picture and knew right away it was her. 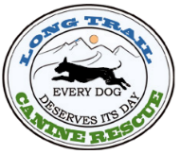 They contacted the volunteers at NRG Arena who we worked with to set up a transport to get Luna home. The transport was quickly filled by a dedicated couple, Laura and Jeff, who drove the entire transport, over 100 miles. 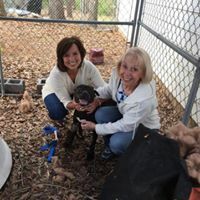 Before the transport, Laura and Jeff worked to get donations from local pet stores and received a crate, bed, toys heart worm, flea meds and food for Luna. Luna’s history hasn’t been very easy as they came to find out. 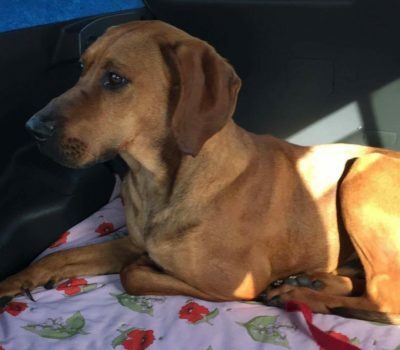 She was initially an abandoned dog roaming the streets of Laredo, Texas. She was brought to Houston and had been passed around many, many times. On Saturday, September 30, Laura and Jeff drove to the NRG Arena to pick up Luna and start her journey home! Laura said that Luna was an absolute angel during the transport and was such a sweetheart. Luna enjoyed the drive even though they were stuck behind a 10-car pileup on the way to College Station, Texas. Luna seemed to enjoy the calmness of the ride with the quiet conversations they had with her and soft music playing. This was a far cry from the NRG Arena with over 500 rescues still waiting to go home. 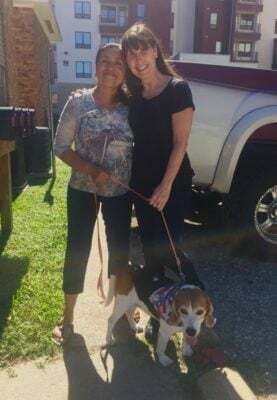 Luna’s family was elated that they were going to see her very soon as they said, “The family is in delighted shock that we finally get to see our precious Luna! 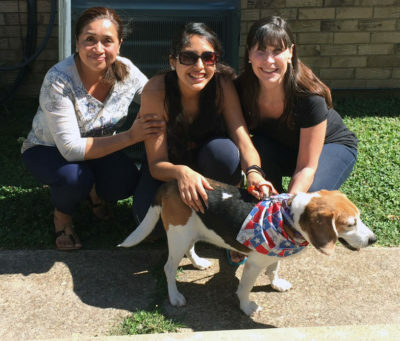 Thank you and your organization immensely for this gift!” Luna had a warm welcome home with endless hugs and love. She is now safe at home with her family. Watch the video below to see the sweet reunion! The post Luna is Reunited With Family After Hurricane Harvey appeared first on DOOBERT – animal rescue made simple. The post Saved from the Streets appeared first on Doobert.com. Gabbie was seized from her owners and taken to NE Georgia Animal Shelter in Lavonia, Georgia. 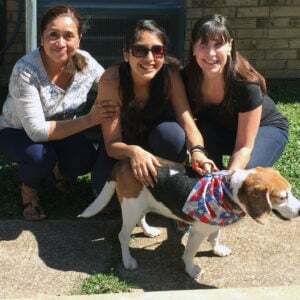 When Gabbie arrived at the animal shelter, they immediately rushed her to the vet. Gabbie is about 5 years old and was bred until she could no longer have puppies. Since she could no longer have puppies, her family couldn’t make any money off of her. They then turned to using Gabbie as a bait dog in dog fighting. 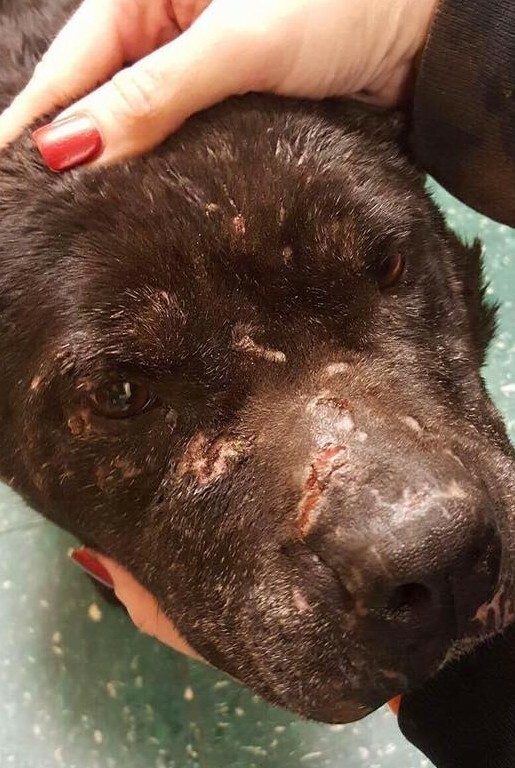 The horrible world of dog fighting took its toll on Gabbie, leading her to have the conditions she currently has. She is currently in private boarding where she will receive the rest of the vet care that she needs. You can see from her pictures that she has a lot of healing to do but will have those scars that will tell her story forever. 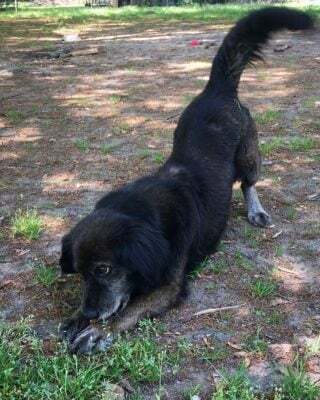 Thanks to Rescue Transport USA and all of the volunteers involved, Gabbie was transported from the shelter in Lavonia, Georgia to the temporary foster in Lindale, Georgia. 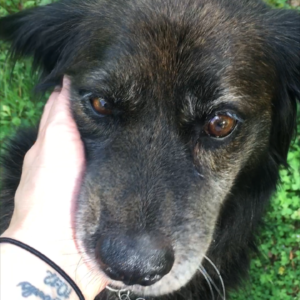 After she spent time at her foster, Gabbie moved to a more permanent situation in McDonough, Georgia. Gabbie spent two weeks in a foster home where she has healed enough physically that she is ready for her heartworm treatment. 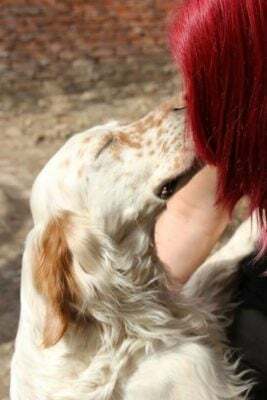 She will remain with Share the Love Rescue until she completely heals, but until then she will cuddle, rest, and keep on smiling! 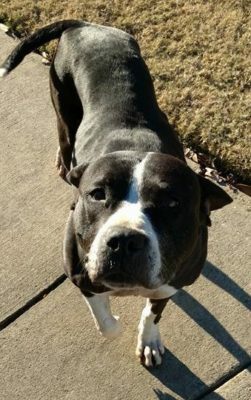 The post From Dog Fighting to Healing appeared first on Doobert.com. A North Carolina Police officer, was working one weekend night in December. He came across Frankie wandering the streets, tangled up in a rope with no collar. It was in the 30’s that night, which is very cold for southern North Carolina, so he took him to the Police Station where Frankie spent the night in the basement. 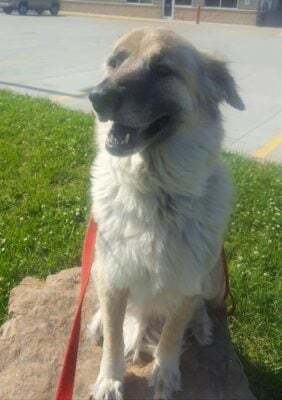 Frankie was posted on the Long Trail Canine Rescue Facebook page and within a day the Rescue was contacted by a person who first saw Frankie in the shelter and was happy to know that he made it out of the shelter and was being taken care of. The post Tangled in the Cold appeared first on DOOBERT – animal rescue made simple. These three pups, Callie, Carter and Chopper were part of a local family in Mooreville, Mississipi. 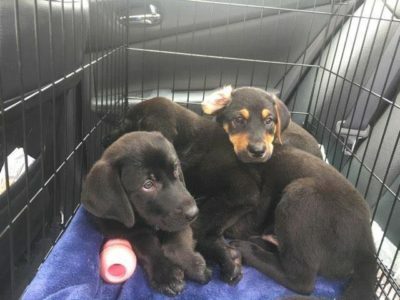 They had a batch of puppies that they wanted to get rid of but they could not find a home for these three. 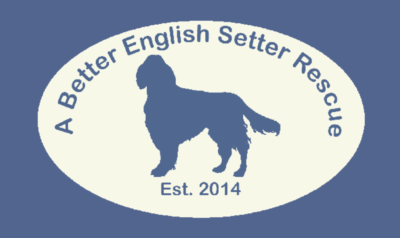 Storyteller’s Express was contacted by an adopter they are familiar with who worked with the surrendering party. They got the pups to to the vet for their basic vetting needs as well as their health certificates. The pups were fostered by the person who contacted Storyteller’s Express until they could fill their transport. 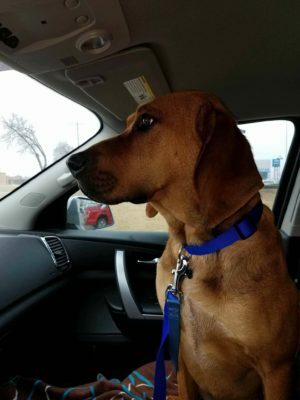 Their foster even drove the first leg of their trip! With the help of dedicated volunteers, these three traveled over 1,000 miles from Mooreville, Mississippi to Ogdensburg, New York. The trio had a lot of interest as they made their way North. 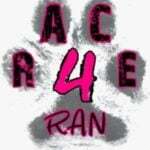 Callie, Carter and Chopper are amazing puppies and as of this past weekend, they are all in their forever homes! 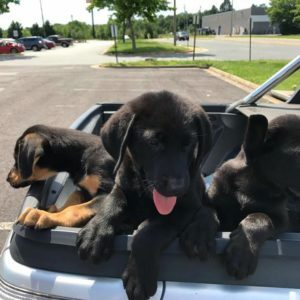 One of the pups got adopted on their transport after a home visit in Maryland, one was adopted by a local foster in New York and the third was adopted by a local family! 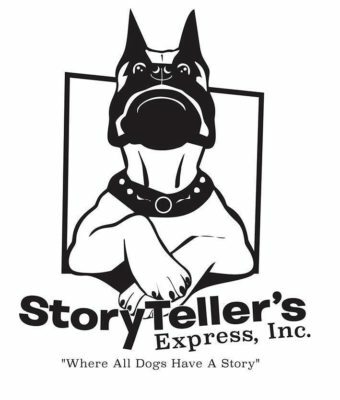 To learn more about Storyteller’s Express, you can find them on Facebook. The post The Mississippi Trio Travels to New York appeared first on DOOBERT – animal rescue made simple. Would You Leave Your Dog at a Shelter? Meet Max! 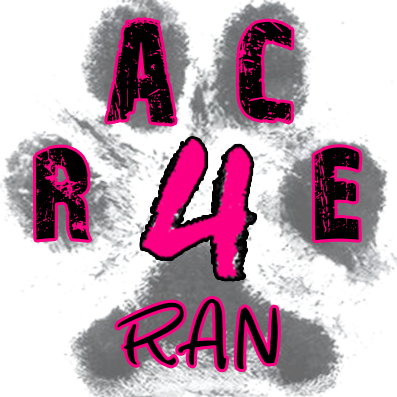 He was recently transported from Oxford, North Carolina to Midland, Michigan to his new foster home. Max’s owner could no longer keep him, so they left him in a drop box at a local shelter after hours. The shelter Max was left at was getting very full and he only had 72 hours left in the shelter. 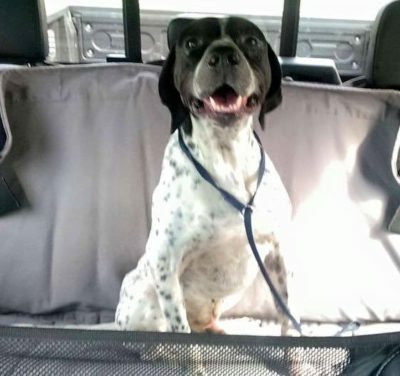 It was a rush to get Max safe, and in the last hour, Pointer Rescue Organization saved him. 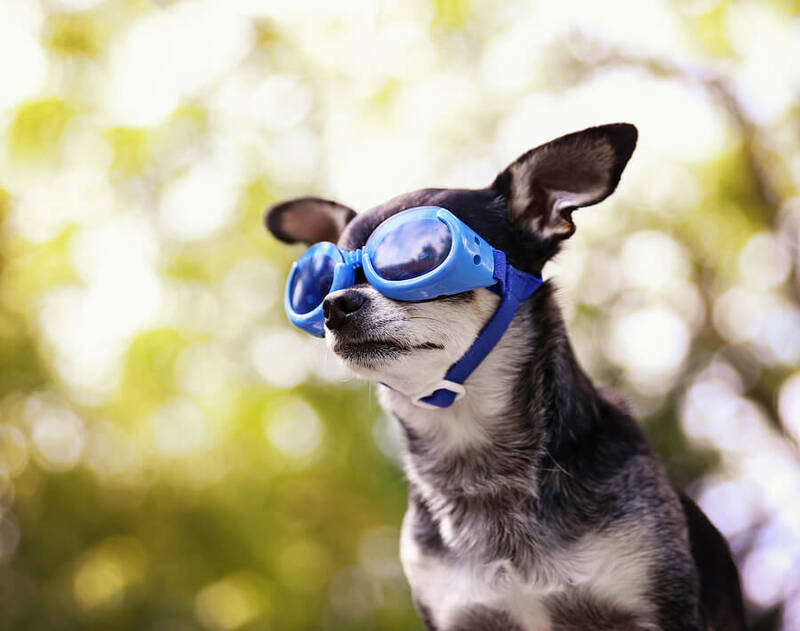 When Max was found, he had medical issues with one of his eyes and one of his paws. Max had very bad calluses on his elbows and was always looking for attention. and he would paw if you stopped petting him. 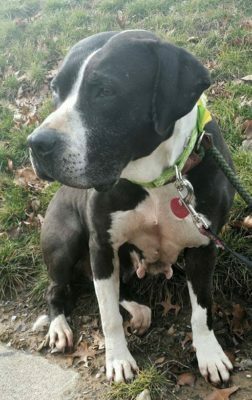 Pointer Rescue also says that Max was fearful of the grass, but would look for concrete, as if he never knew anything different. After taking antibiotics and steroids, his conditions are starting to heal. Unfortunately, Max tested positive for heartworm, and will start treatment at his new foster. Max had an overnight with a family along his route and they shared their story of their time with Max. They said that Max is such a sweet dog and did not know how a family could just give up a part of their family. Max is very well behaved. At his overnight stay, he knew how to tell them that he wanted to go outside, but he was timid once he got outside into a new environment. With another foster sibling and more dogs barking around the neighborhood, Max needed a little encouragement after sitting right next to his foster family. After a while of taking in his surroundings, Max felt more comfortable in this new place. It was a sad sight to see Max timid of being somewhere new. 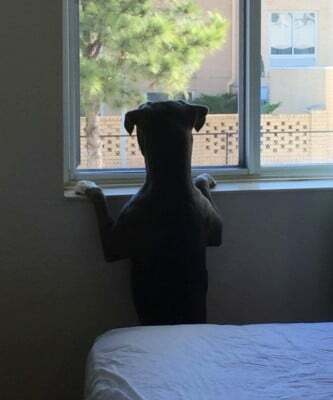 After being in the same home for his whole life, to moving to a foster, they felt he could feel he was no longer at home. At his overnight Max made a great friend. So close, they almost adopted him, but they couldn’t at the time. One of the people watching Max was 82 years young, and she wished she was twenty years younger so she could enjoy going out on walks with him. Max would sit in front of her, receiving unlimited head scratches! When he first arrived at his overnight foster, Max did not appreciate hugs or kisses, but by the time he left, they were one of his favorites! 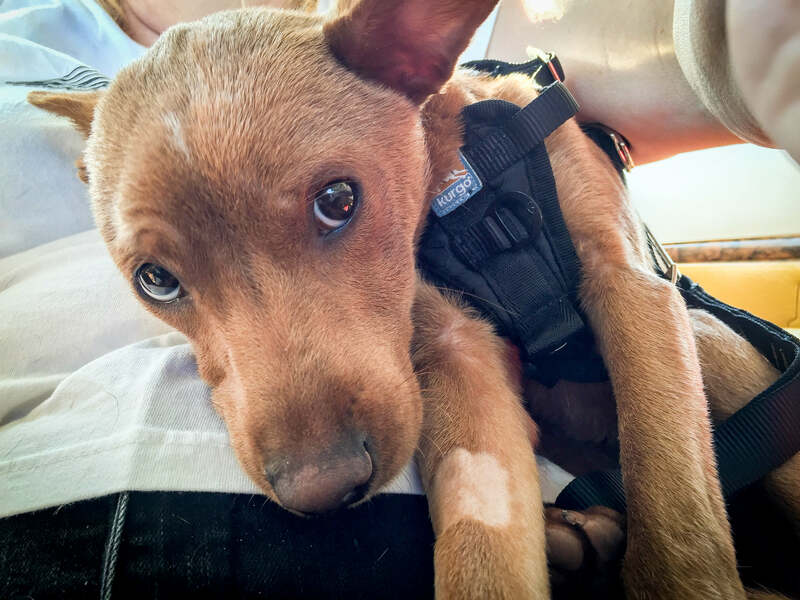 The next morning, Max was ready to start his journey to his new foster home in Michigan. He hopped right into the front seat. As the ride went on Max climbed to the passenger seat and dozed off. When it was time to switch drivers, Max did not want to leave, hiding behind his first driver. It was a struggle to get him into the next car but Max did it. They say he is a very proud, well mannered dog. His new friends wish Max nothing but a good and happy life and to find his forever home very soon. Thanks to Pointer Rescue, Max is at his new foster, ready to be adopted and find his forever home. 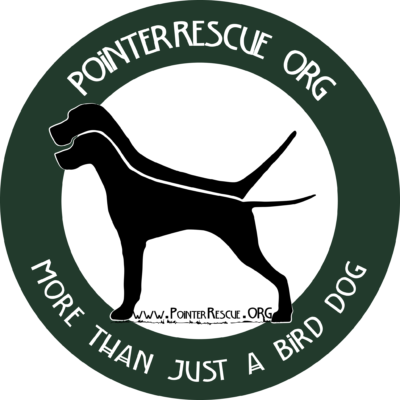 Pointer Rescue is a non-profit group of coordinators and volunteers across the United States dedicated to the rescue of purebred Pointers. 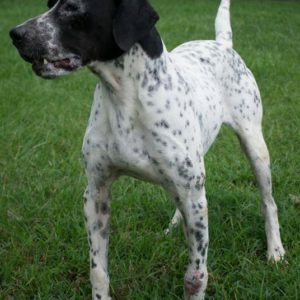 They pull English Pointers from Shelters, provide foster homes and ready them to be Companion Pets for approved adoptive families. Max is on his way to a new and healthy life. The post Would you leave your dog at a shelter? appeared first on Doobert.com. Dogs can be strangers to each other just like people. Meet Zephyr and Sabre! A few weeks ago, these two had no idea about each other. They were brought to Orange County Animal Control in Orange, California. Zephyr and Sabre were terrified while they were living in the shelter. As each day passed, they were shaking in fear, terrified for their lives. 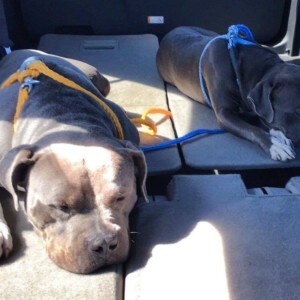 Doggone Happy Animal Rescue in Delaware saw these two and immediately wanted to save them. Dawn, from Doggone Happy Animal Rescue, contacted Rescue Transport USA. Considering the distance from California to Delaware was across the country, they did not know if a transport was possible. As their transport was being finalized, Dawn had Zephyr and Sabre put into boarding at El Toro Animal Hospital in Lake Forest, California. 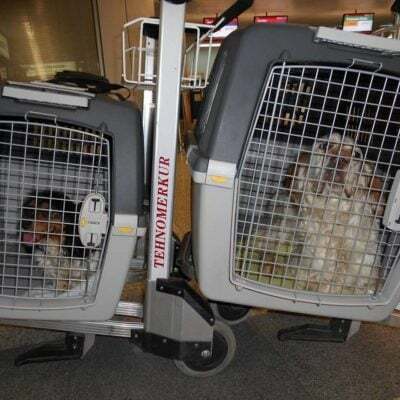 They were placed into boarding in the middle of August , and almost two months later, they were finally on their way to their new rescue. A cross country transport calls for a lot of planning and organization, but it is possible! 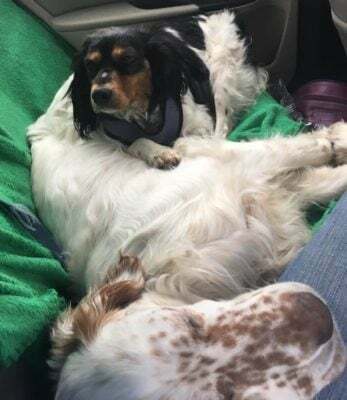 Believe it or not, one of our own Doobert drivers contacted Rescue Transport USA saying she was planning on driving across the country and would take Zephyr and Sabre with her! With their transport planned, they headed out for a 2,729 mile road trip. Over four days, they traveled across the country getting spoiled rotten along the way. Along the way they stopped at pet friendly hotels where they got luxury beds, treats, toys and lots of love! The boarding expenses became pretty steep for the receiving rescue while waiting for the transport to be filled. Anyone who is willing to help the rescue with boarding the paypal address is [email protected]. From not knowing each other before this transport, Zephyr and Sabre have become best buds with a whole team behind them. 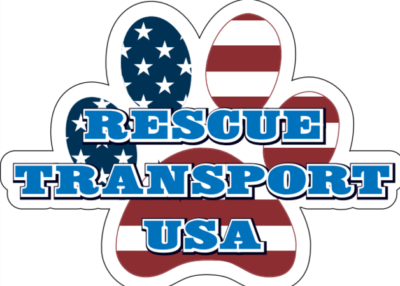 Thanks to everyone involved in their transport and getting them to their new rescue! 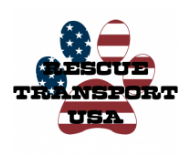 Thanks to Rescue Transport USA for coordinating their trip. The post From Strangers to Best Buds! appeared first on Doobert.com.